Galaxy U-18 midfielder Alan Rovira has been called up to the full El Salvadoran National Team or their friendly against Honduras at the Coliseum on September 4. 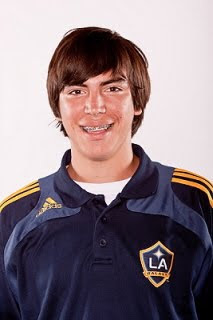 A member of the Galaxy's U-16 team during the 2008-09 season, Rovira played in 20 games for the U-18's this past season, scoring twice. Born in the U.S. to Salvadoran parents, he is expected to join coach Jose Luis Rugamas' team in training at the end of August ahead of the game against Honduras. Three days later, El Salvador heads east to Washington D.C., where they will play Guatemala.